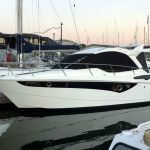 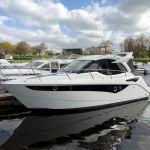 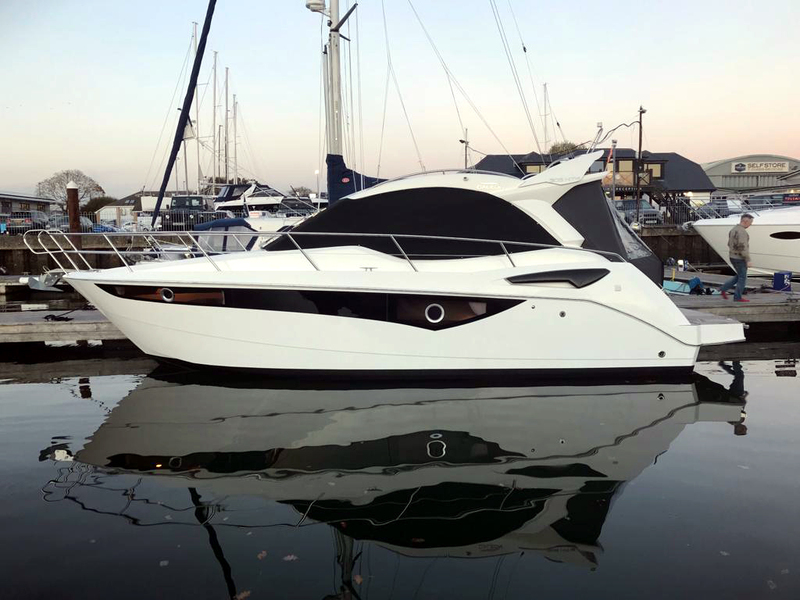 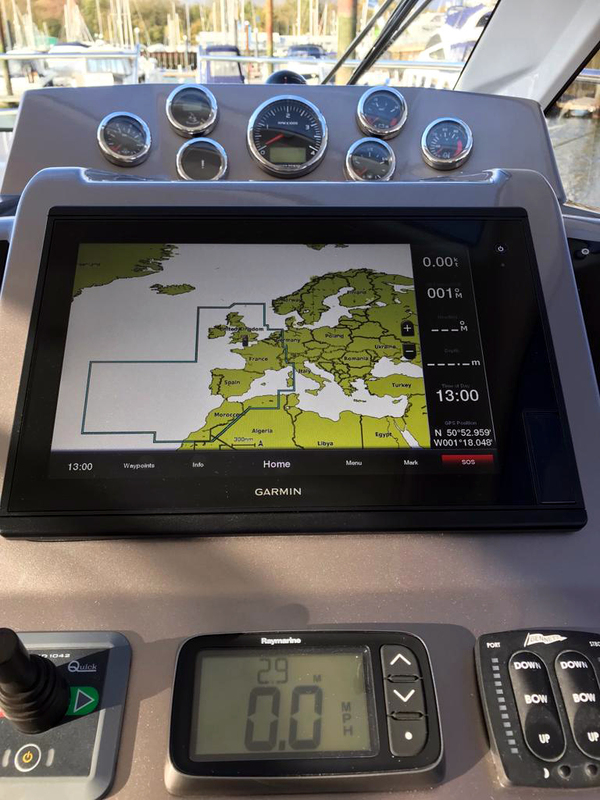 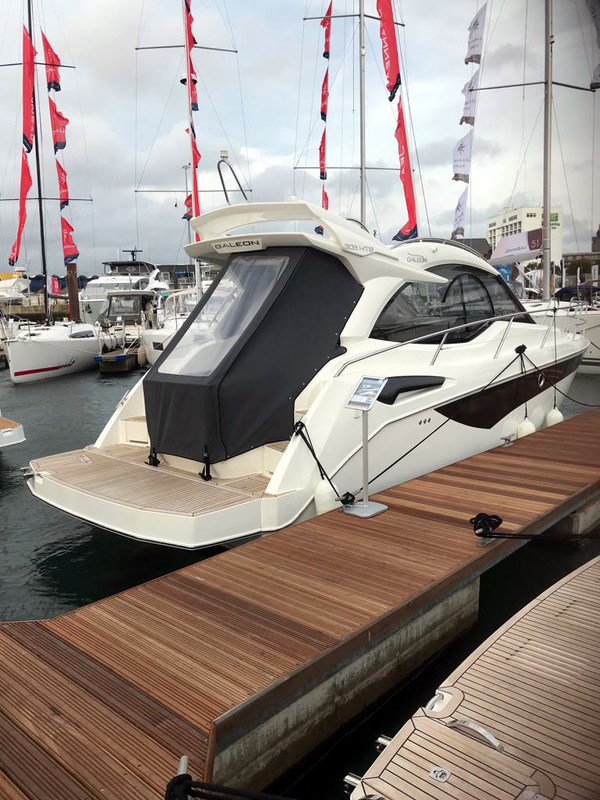 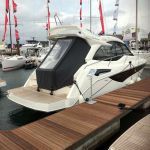 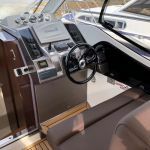 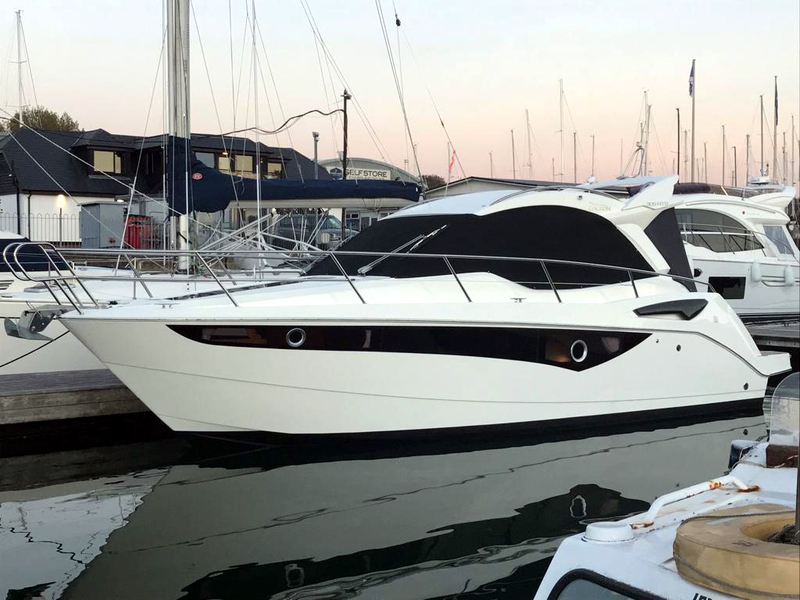 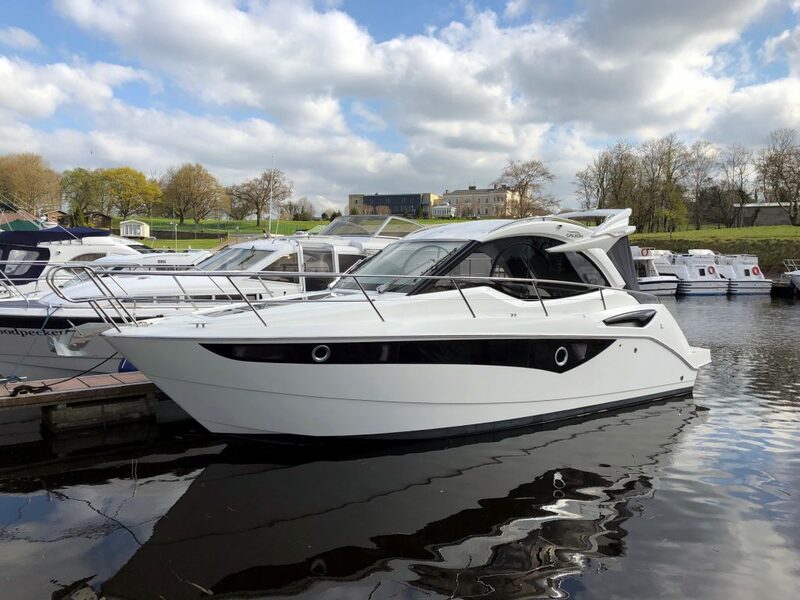 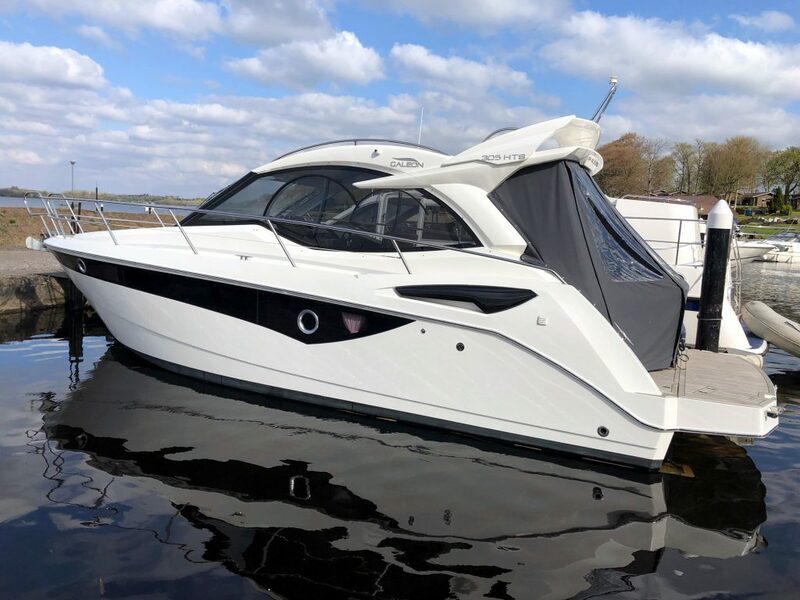 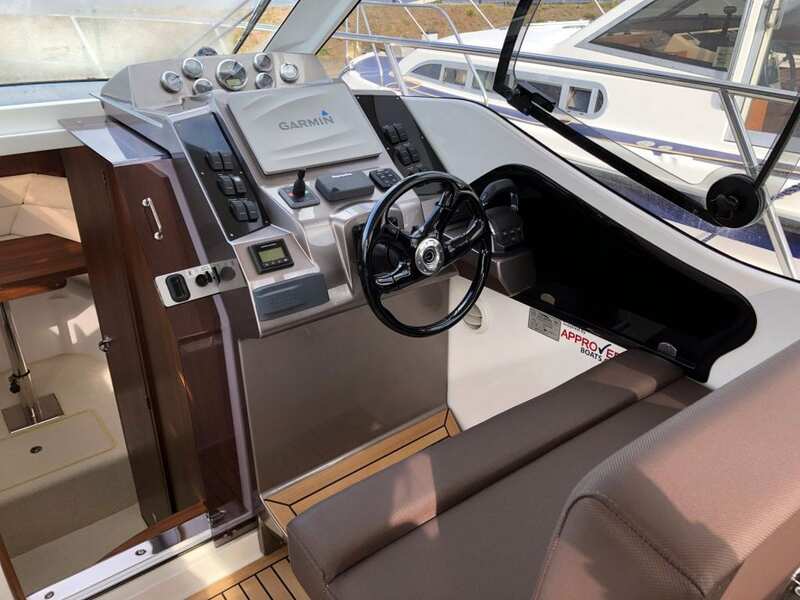 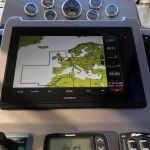 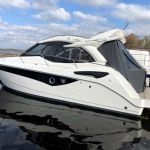 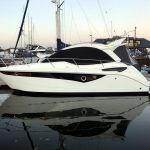 The sporty and compact frame of the Galeon 305 HTS is quick to reveal its purpose of a perfect day cruiser. 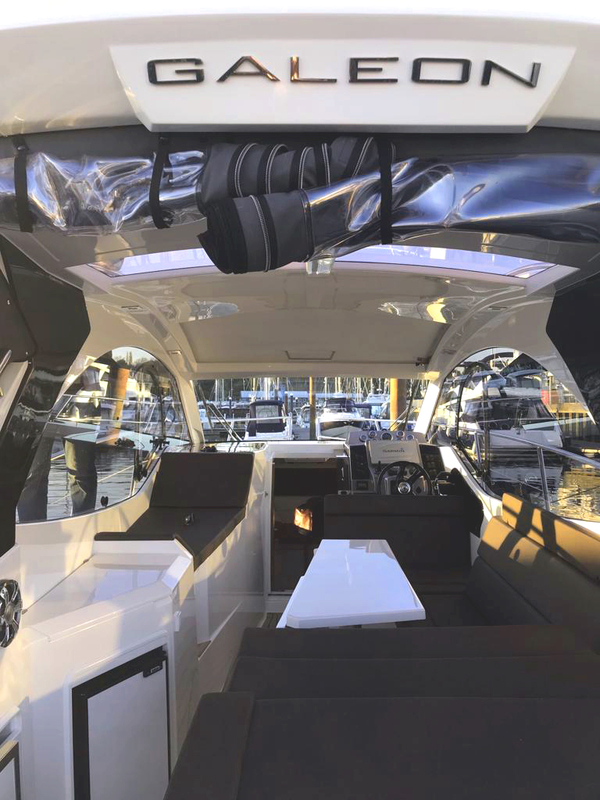 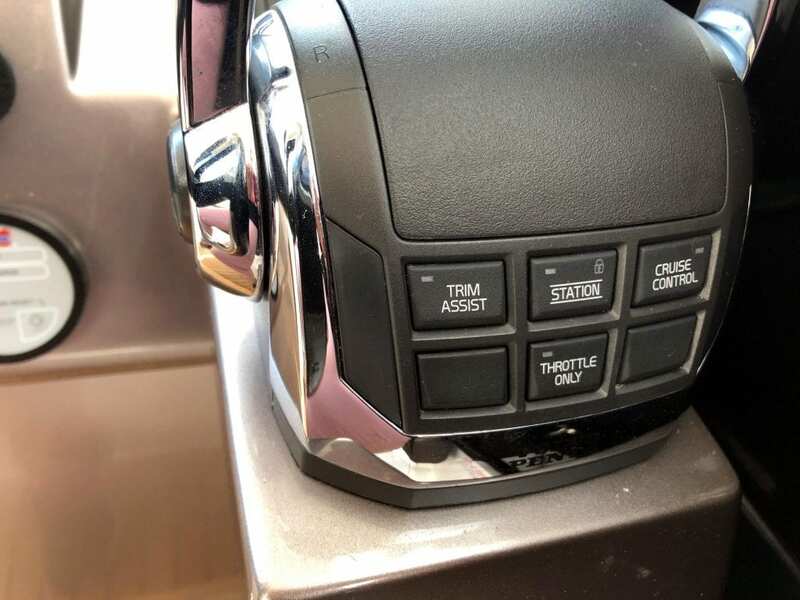 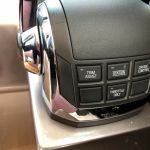 Enjoy the performance or simply spectate the surrounding scenery in the semi open cockpit area. 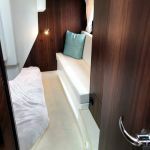 Find two comfortable cabins down below if you decide to stay the night. 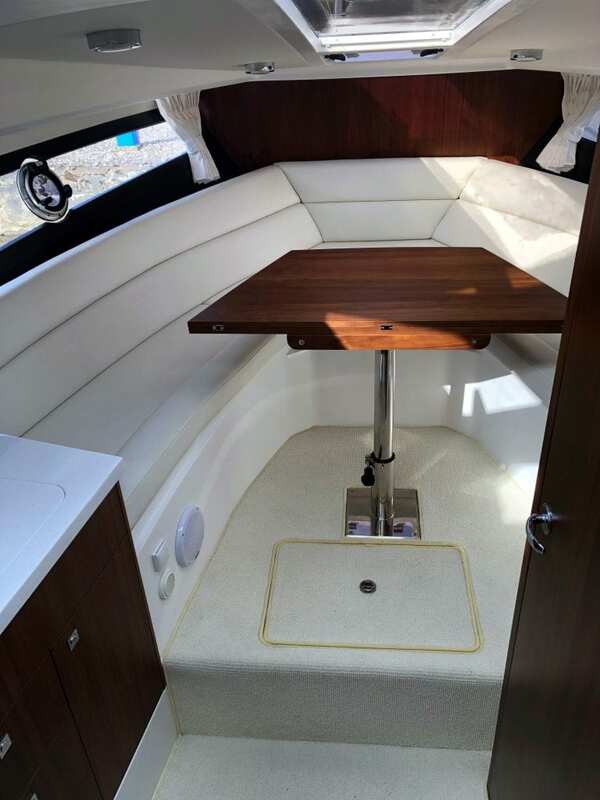 Saloon with an open layout, bow rest area with table can be easily transformed into a double bed. 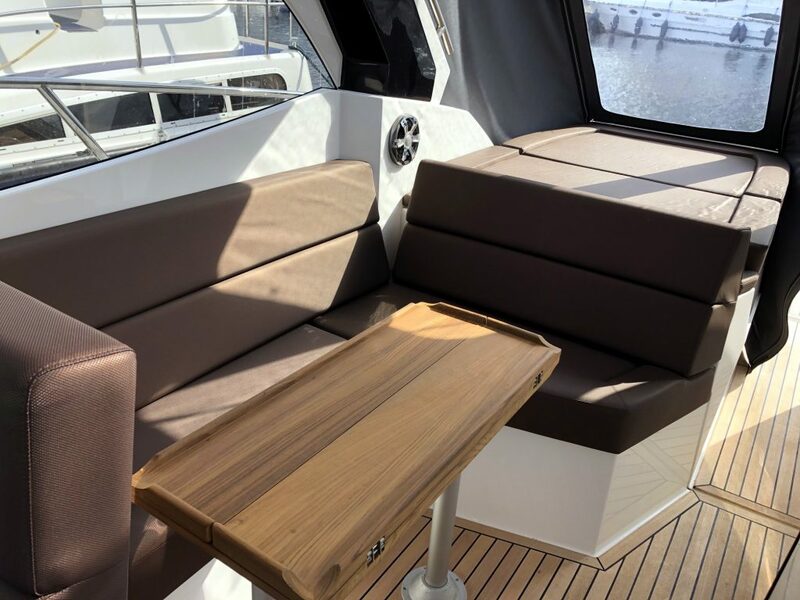 Seabrook Sea White upholstery and Walnut Matt Finish. 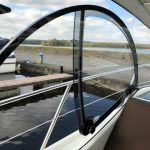 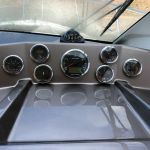 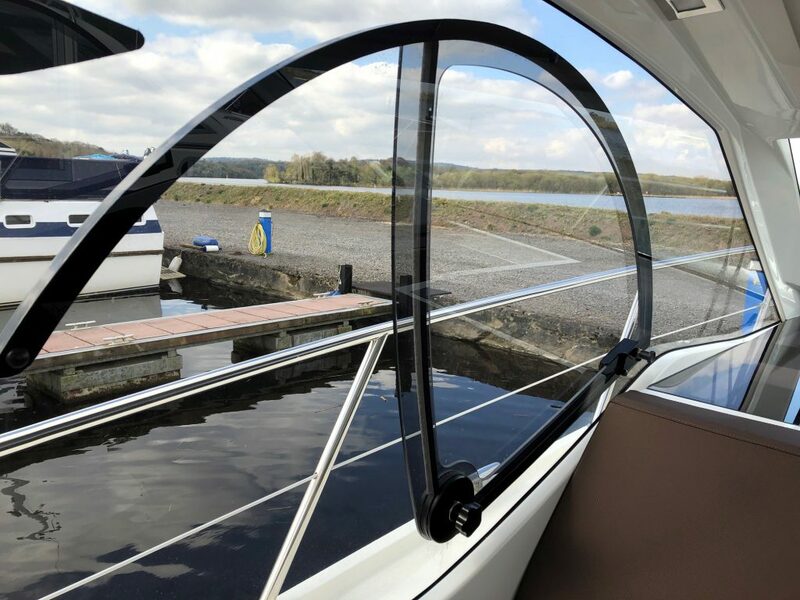 Skylight in saloon area with Black Pexiglass on helm. 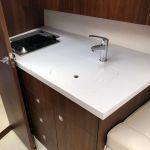 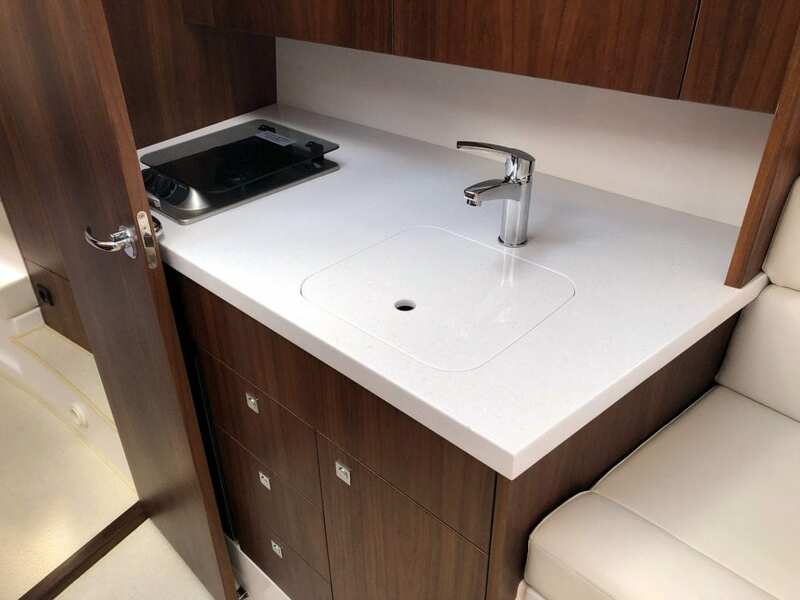 Galley with hob, fridge, stainless steel sink and Beige Corian worktop. 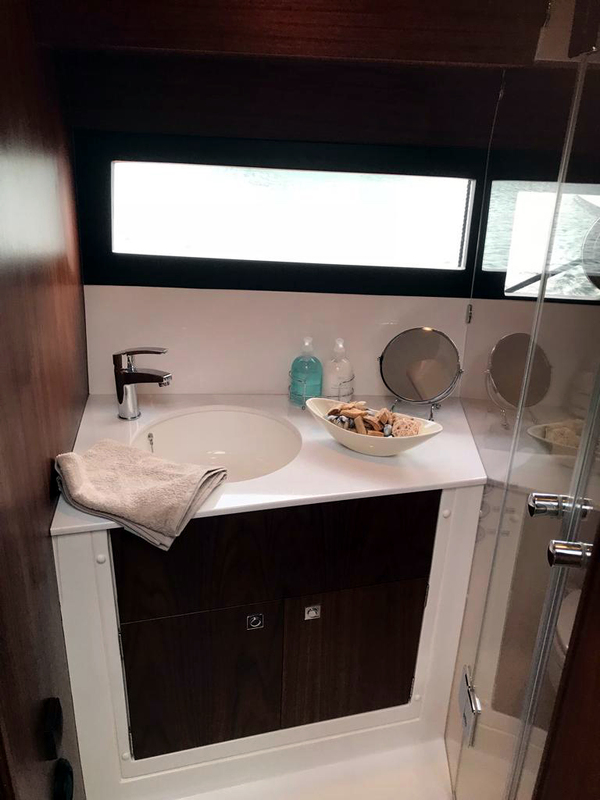 Storge cupboards and drawers. 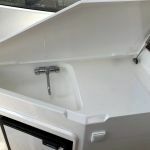 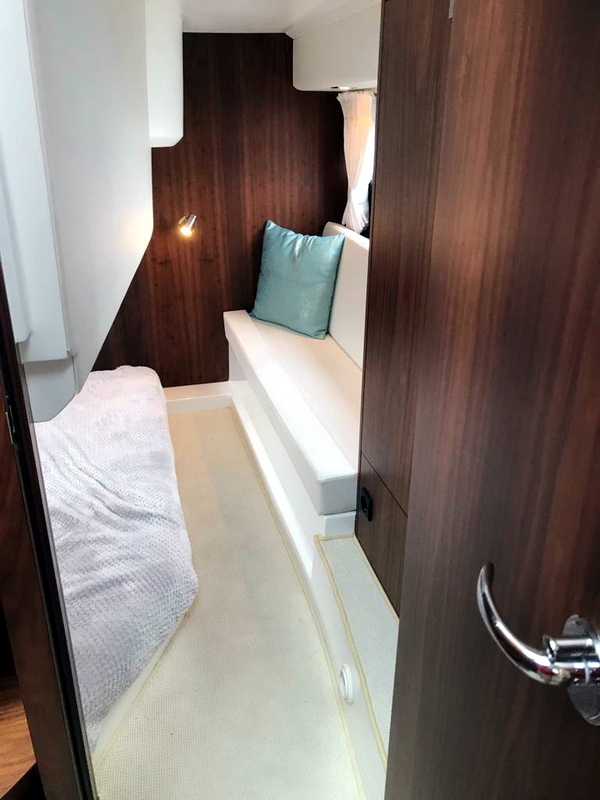 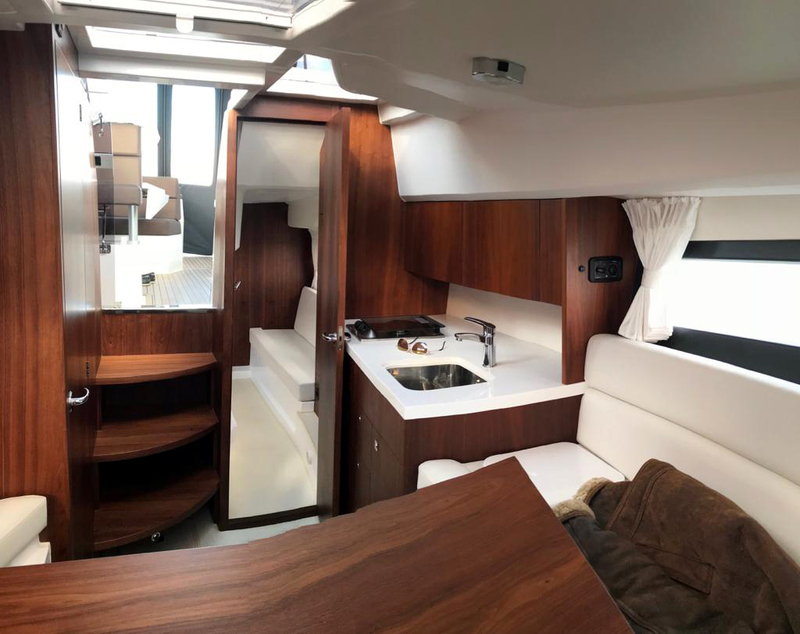 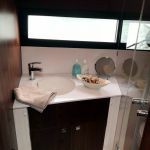 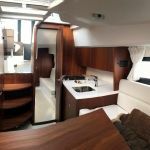 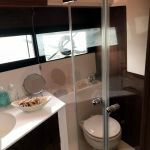 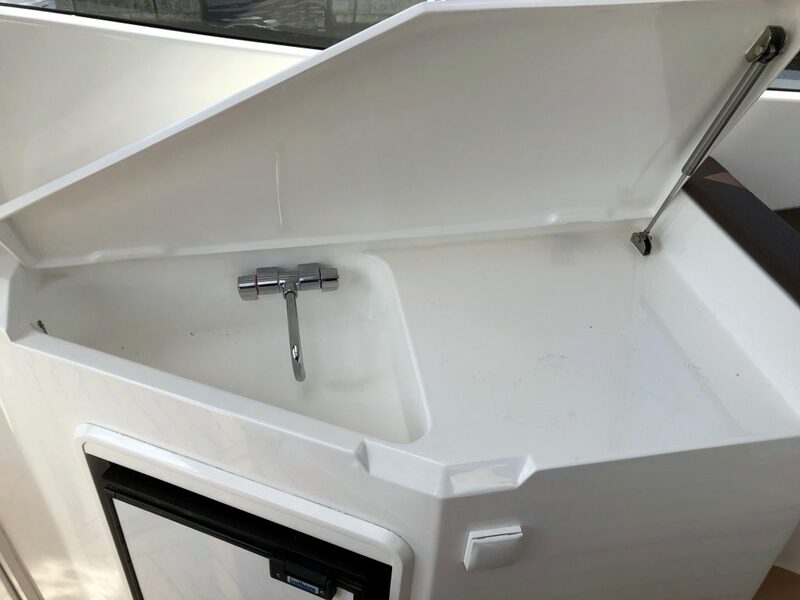 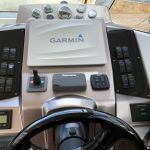 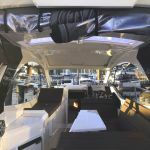 Walk in double aft cabin with wardrobe and storage. 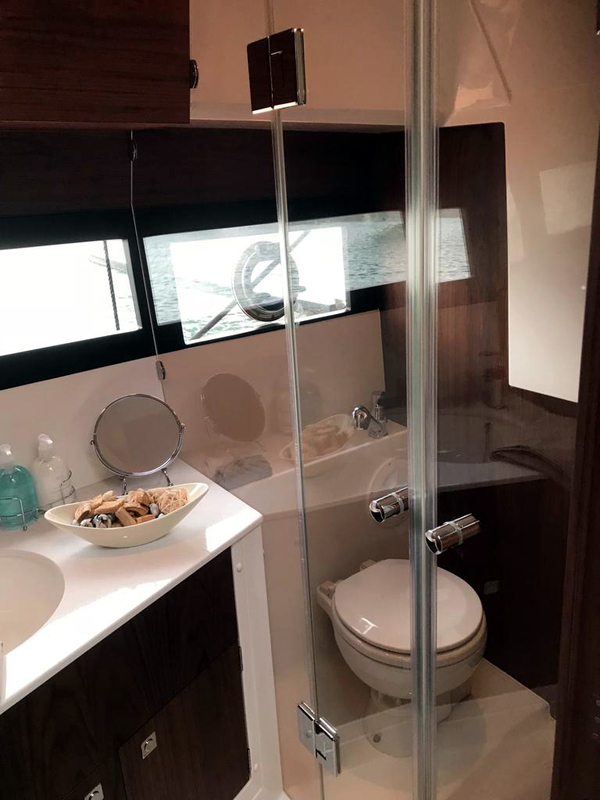 Head with wash basin, toilet and shower with glass doors. 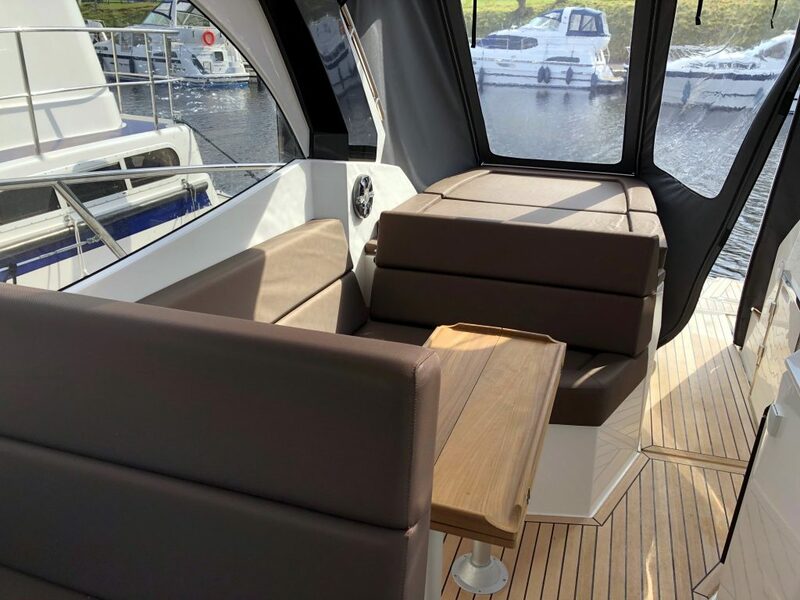 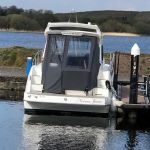 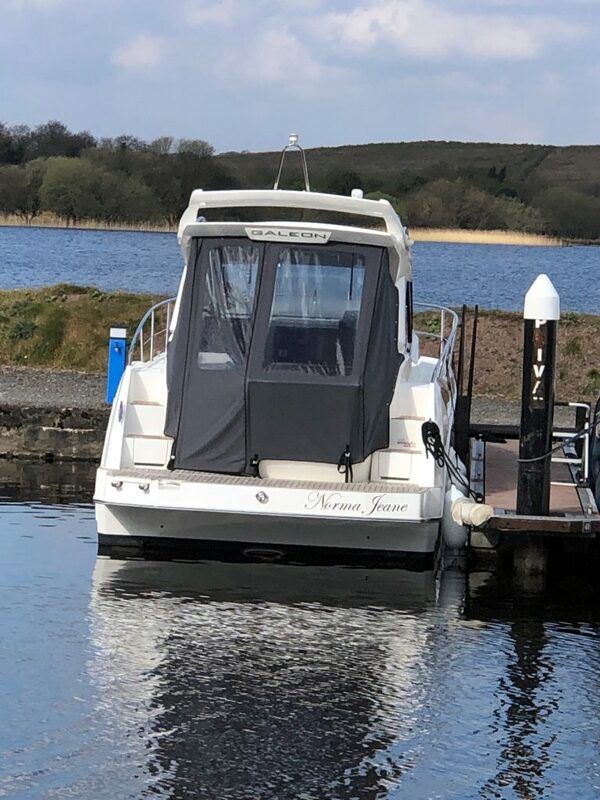 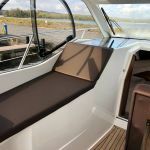 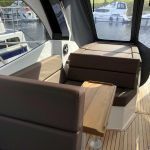 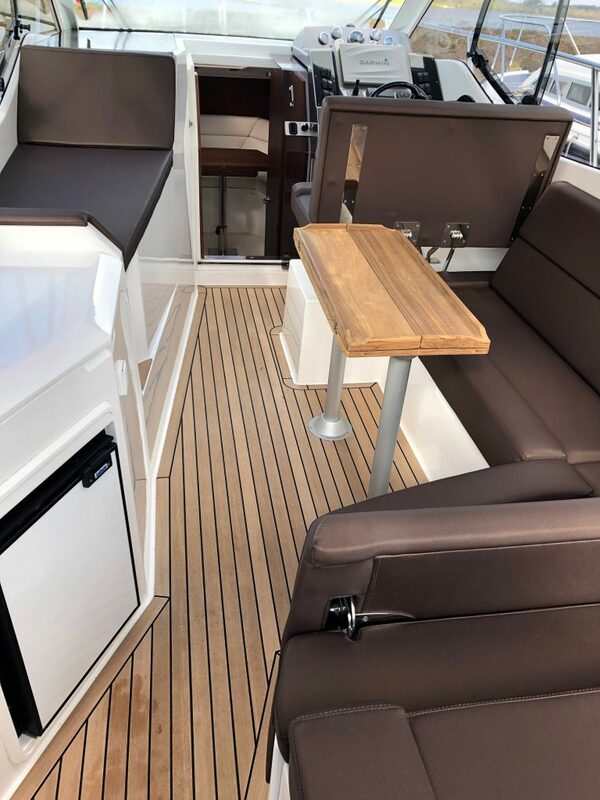 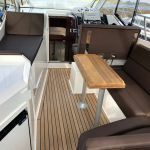 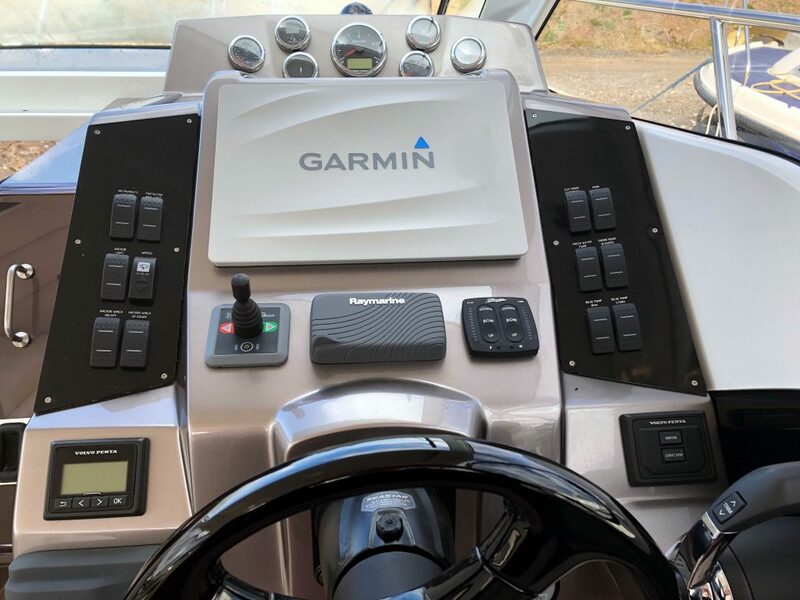 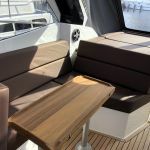 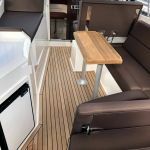 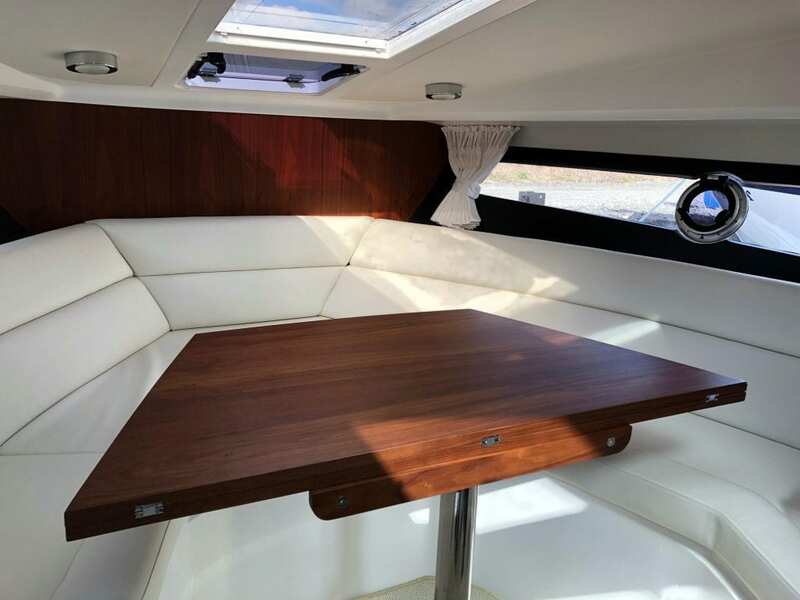 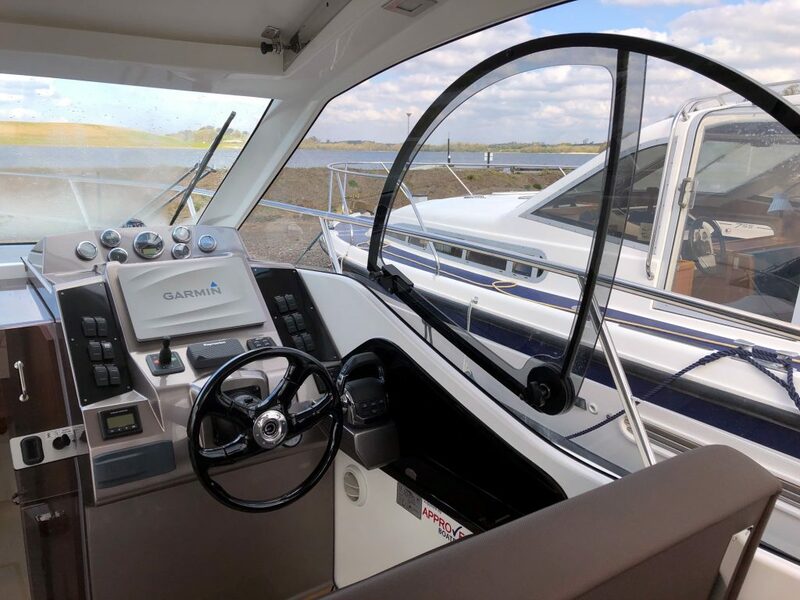 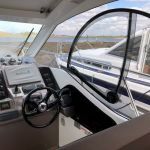 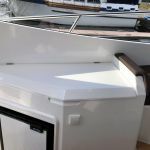 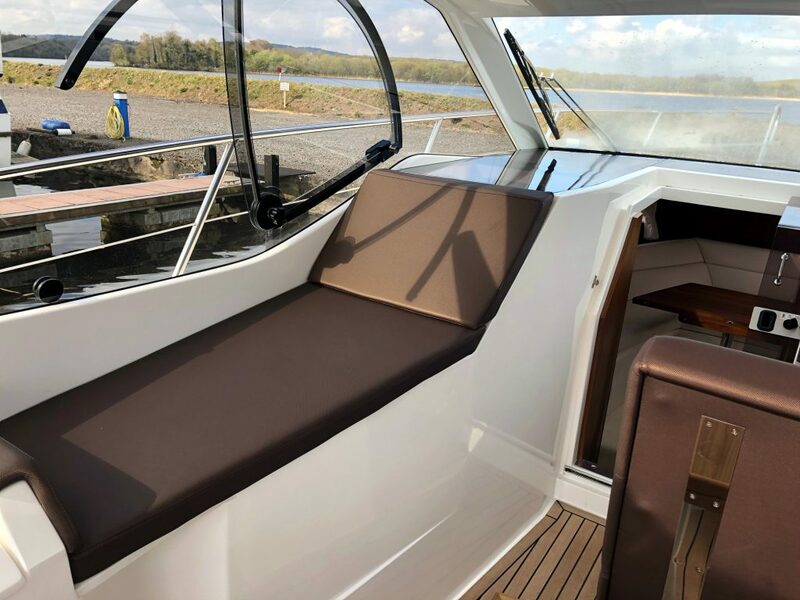 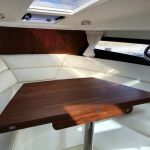 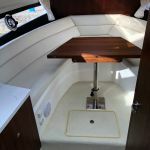 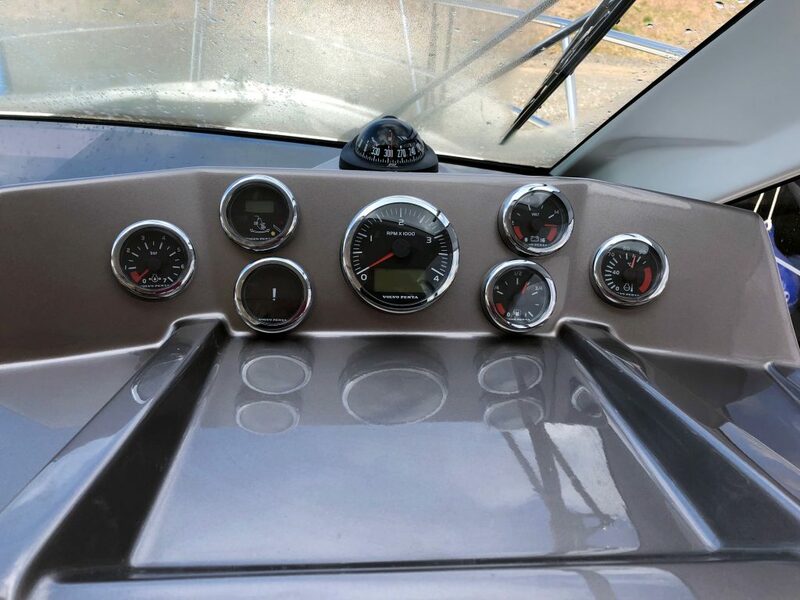 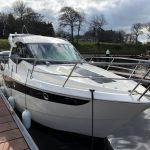 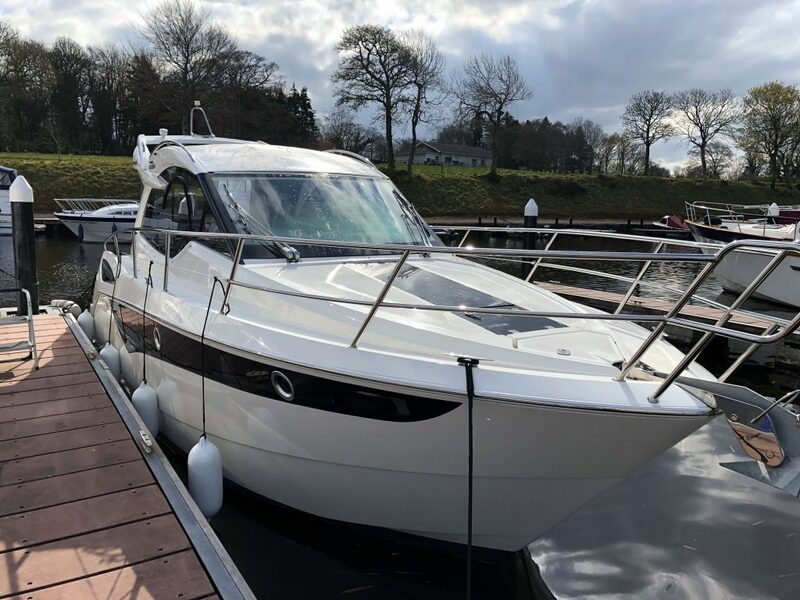 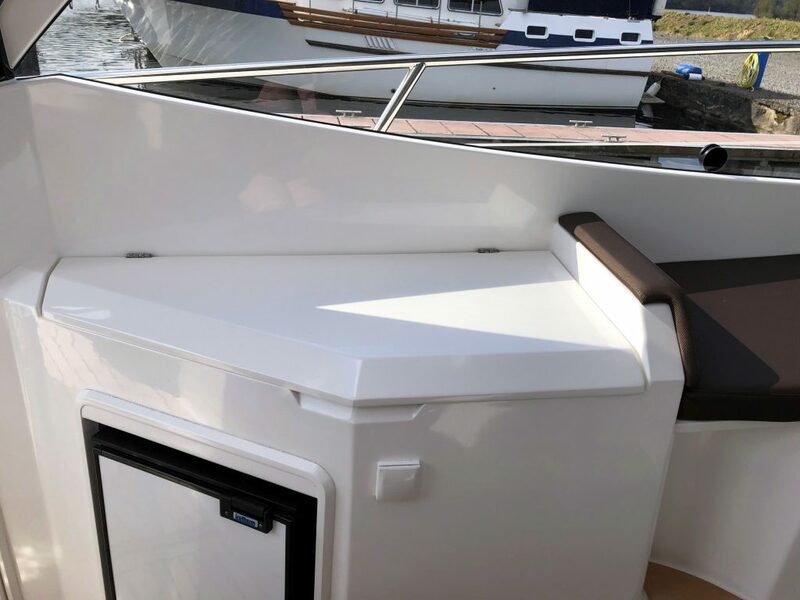 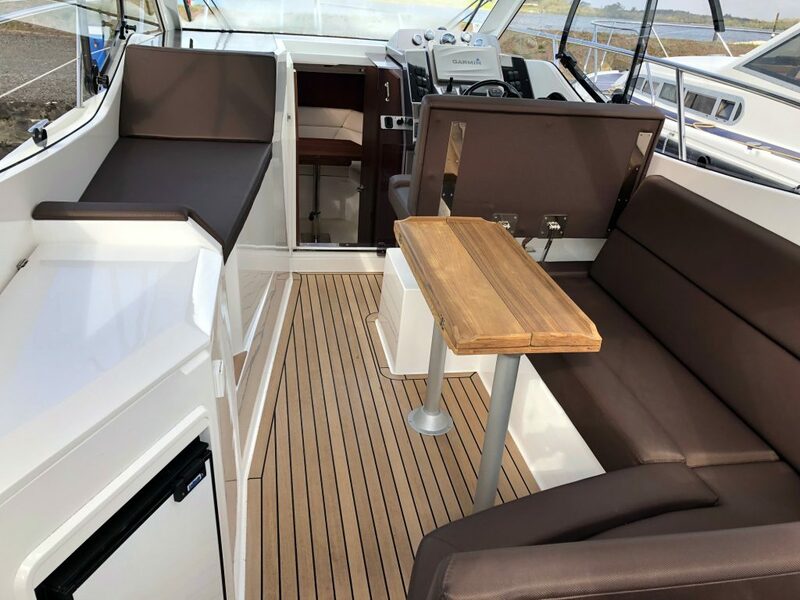 Large sundeck and helm with Silvertex Meteor upholstery and teak flooring.